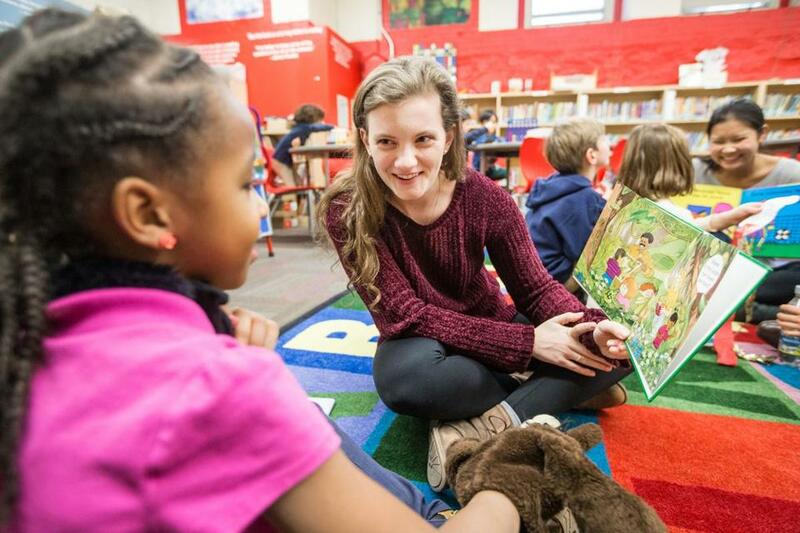 Brookline High senior Haley Evans read to a student at Mather Elementary School in Dorchester during an afterschool mentoring session. BROOKLINE — Haley Evans is a driven, polite, academically earnest senior at Brookline High School who does volunteer charity work in her spare time — when she’s not hunting for buried treasure. So far, Evans has found more than $3 million hidden in the minutiae of unclaimed money lists compiled by state treasuries around the country. The soft-spoken 18-year-old isn’t looking to enrich herself, her family, or her friends. Instead, when Evans hunkers down at a computer, she is searching on behalf of strangers and businesses who almost always have no idea she is trying to find them money. When Evans does hit paydirt, she doesn’t ask for a fee. Instead, she soft-sells a request that a portion of the claim go to her favorite charities. Over nearly a year, Evans has garnered $8,500 in donations that have been divided among three beneficiaries: the Brookline Literacy Partnership, the nonprofit group Cradles to Crayons, and the Dana-Farber Cancer Institute. That sum might seem small compared with the millions she has discovered, but Evans said it’s only a start. Most people and companies whose money she has found — providing proof with a screen-shot of the claim — do not respond to her e-mails and letters, she said. And even if they do acknowledge her work, the collection process can drag on and on, which means donations can be delayed. “It definitely takes some persistence,” Evans said. The project began after Evans heard a radio ad on a sports-talk show that invited listeners to check for unclaimed money among $2.4 billion held by the Treasurer’s office in Massachusetts. “I was just in my kitchen with my dad,” Evans said. Since then, she has reached out to about 80 individuals and companies. A total of $6,000 was reclaimed for a friend of her father’s, Dr. Lishan Aklog, who donated the entire amount to Evans’s charities. She found about $3,000 in Texas for Boston Volvo Village, which donated half of her discovery. Headsets.com, a California company, gave $1,000 after Evans located $9,000 of its unclaimed money. “It’s been really good to know the money is going somewhere,” she said. Aklog, who roomed with Evans’s father at Harvard College, sees big potential in the effort. Bob Bickford corresponded with Evans when he worked as controller at Boston Volvo Village, and the high school student impressed him beyond her years. Evans remains on the hunt. She has alerted Xerox to a $224,000 find in Texas and has located $129,000 for a New York financial company, which is expected to make a donation. It’s all for the greater good of causes she cares about. When Evans is not at school or working on the project, she volunteers for the Brookline Literacy Partnership, in which Brookline High students tutor elementary pupils at the Mather School in Dorchester. She also donates time as a teen leader at Cradles to Crayons, which collects and distributes school supplies, toys, clothing, and other items to needy children. “The best part for me is being able to bring the checks to the organizations. That’s always worth it,” Evans said. “I was blown away,” said Matthew Boccuzzi, family philanthropy coordinator at Cradles to Crayons, which is based in Brighton. Not that Boccuzzi is surprised by Evans’s energy and enterprise. Bickford, the auto-dealership controller, added more praise. Despite the long hours, the successes, and the frustrations, Evans seems to have kept her project on a need-to-know basis. Only a small number of classmates are aware of her digital, continent-spanning hobby.